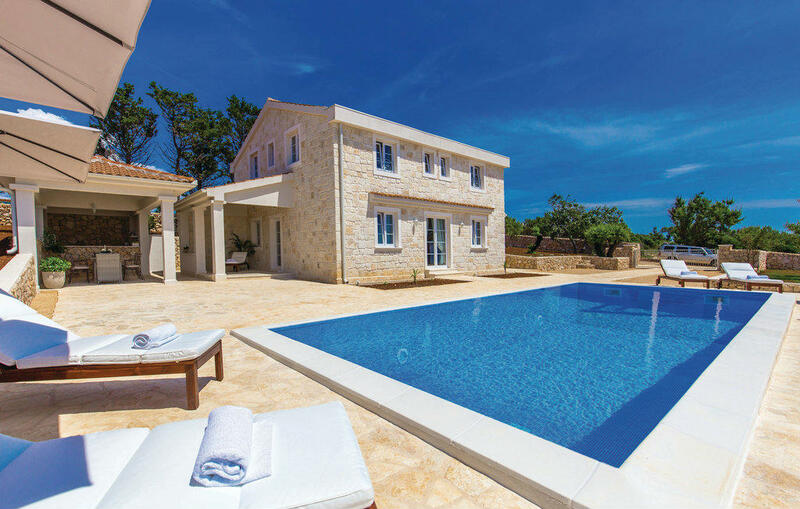 Beautiful villa with pool for 10 people, categorized with 5 *. Villa Toma is 3 km away from center of Novalja (Škuncini Stani) .On a plot of 10,000 m2 offers a breathtaking view.Villa Toma has 5 bedrooms, 6 bathrooms, 2 kitchens, a covered terrace and barbecue. .Lightly and bright interiors are fully furnished and decorated with style. The house is designed to enjoy in peace , below the property is the owner's olive grove on area of 10,000m2. Of the additional activities you can enjoy in the pool and play table tennis.